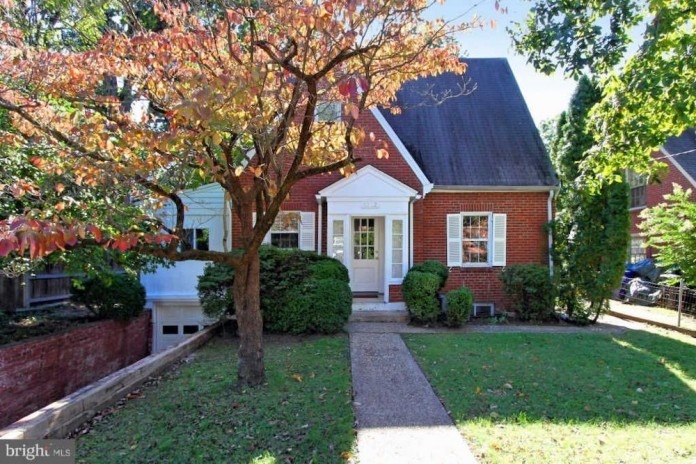 This four-bedroom, two-bath house is located in Arlington Ridge, close to the Pentagon. News that Amazon will plunk a second headquarters in Long Island City has sparked a lot of discussion about how the tech giant will affect New York, especially when it comes to affordable housing and public transportation. But Queens isn't the only area bracing for an Amazon invasion—the retail giant is splitting its second headquarters into two locations, with the other in Crystal City, a neighborhood in Arlington County, Virginia. Arlington is popular with government employees thanks to its proximity to Washington, D.C., plus it's home to the Pentagon. But even if you're not a federal worker, there's a lot to love about Arlington. Its school system is one of the best in the country and there are beautiful Federalist houses throughout the county. It's accessible via the D.C. Metro, so you can easily commute to and from the nation's capital. Arlington has some spectacular historical sites, including the famed Arlington National Cemetery, and the Theodore Roosevelt Island memorial in Rosslyn. Housing costs are high in Arlington, which has a current median listing price of $617,000, but you can still get more space for less than in Manhattan. If any of that sounds appealing to you, here's a taste of what's out there. This four-bedroom, two-bath ranch house, also pictured above, features a tiled kitchen, big picture windows in the living room and bedrooms, and a walk-in closet and a kitchenette in the master suite. There's also a balcony overlooking a lush backyard with a patio. The house is located in Arlington Ridge, located close to the Pentagon, the upcoming Amazon HQ2 site in Crystal City, and the D.C. Metro. 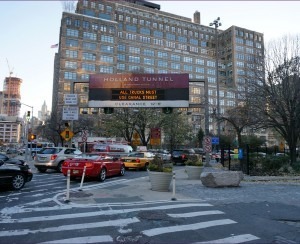 It is listed for $780,000. 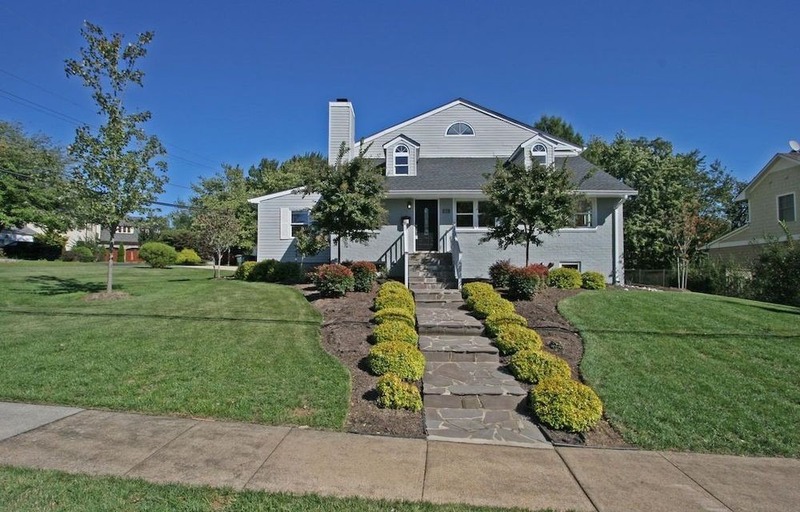 Unlike our famed North Brooklyn neighborhood, Arlington's Williamsburg has a suburban small town-feeling, flush with families looking to live a bit farther from the urban center, and sits right on the Fairfax County boundary. 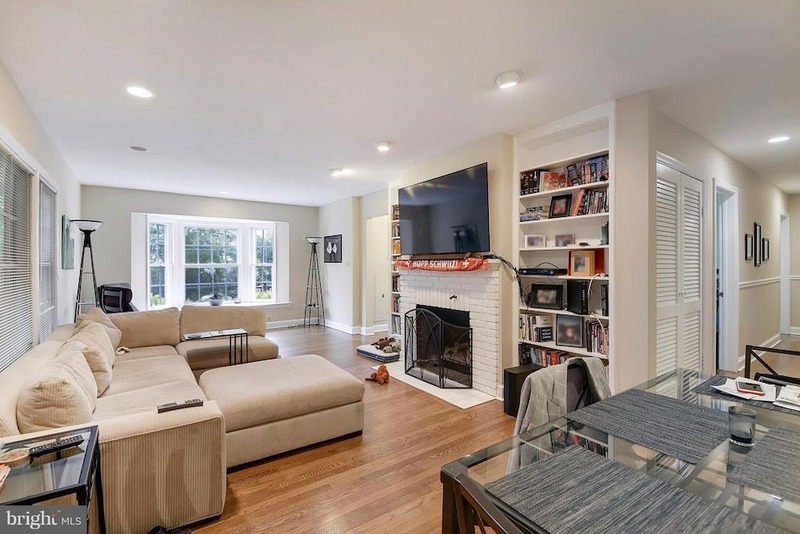 And this six-bedroom, three-and-a-half bath Cape Cod-style house is about a five-minute drive to the East Falls Church Metro stop, should you need to escape into the city. Other highlights include hardwood floors, a kitchen with granite countertops and stainless steel appliances, his-and-her sinks in the master bath, and a large balcony overlooking a yard. The house is listed for $1,200,000. 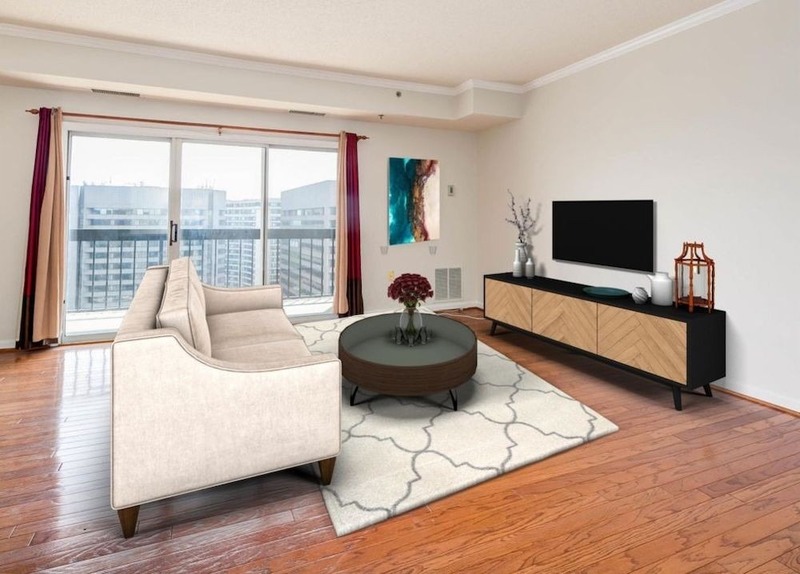 If you're looking for something a little closer to the action, this two-bedroom, two-bath condo is located in Aurora Highlands, a residential neighborhood just south of the more bustling Pentagon City (and west of Crystal City.) 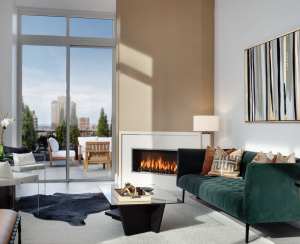 The unit features stainless steel appliances, a washer/dryer unit, and a balcony with a beautiful view of D.C. Building amenities include an outdoor pool, fitness room, and 24-hour front desk security. 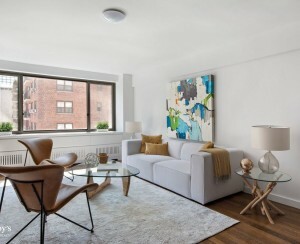 The apartment is listed for $505,000. 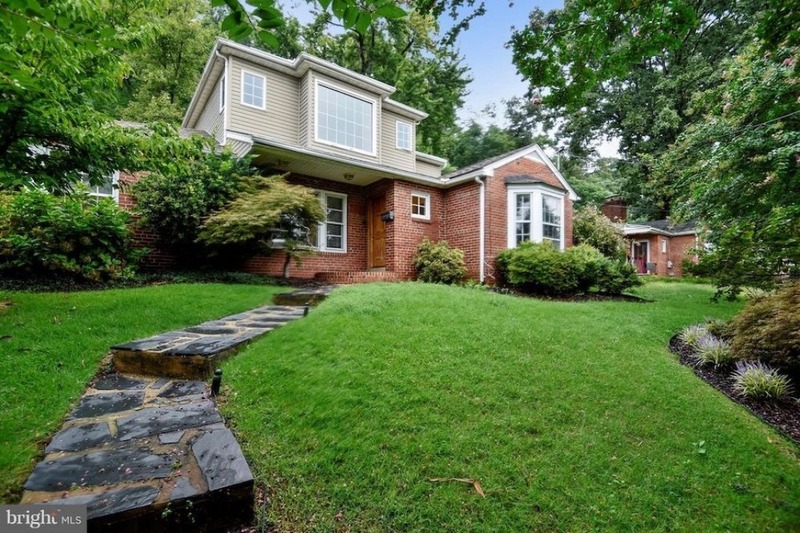 Bluemont, located west of the Ballston Metro, has a bit more of an urban/suburban blend than some of Arlington's more residential neighborhoods, but the area is still full of beautiful houses and quiet streets. 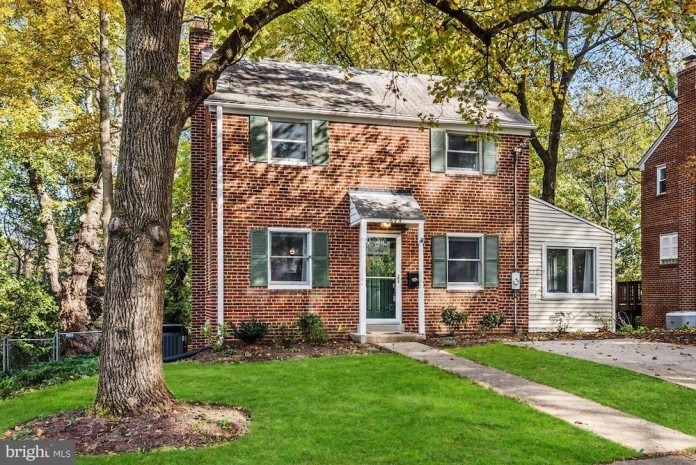 This four-bedroom, three-bath colonial features a beautiful eat-in kitchen, large bedrooms, and a family room with a studio. There's also a finished basement, a balcony, and a yard. The house is listed for $825,000. This two-bedroom, two-bath house in Arlington's Ashton Heights neighborhood includes a fireplace, a recently-renovated kitchen, a one-car garage, and a rec center in the basement. Other highlights include a big backyard and a patio. The residential neighborhood features a slew of elegant older houses—this one, for instance, was built in 1936—and is popular with young families. It's also close to Clarendon, a more urbanized, walkable neighborhood with restaurants, farmer's markets, and easy access to D.C. 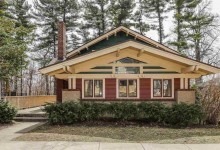 The house is listed for $778,000.